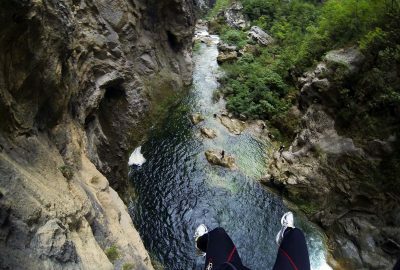 Talk about adrenaline rush! 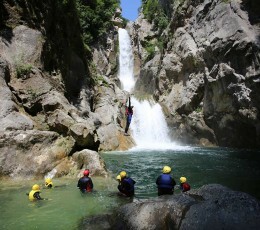 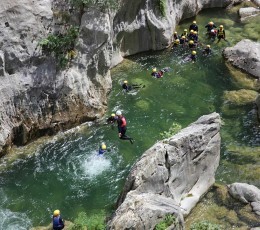 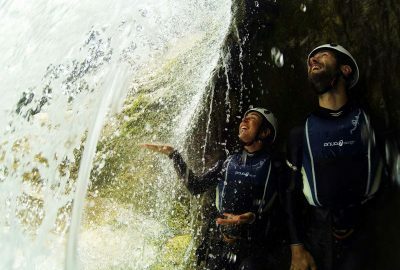 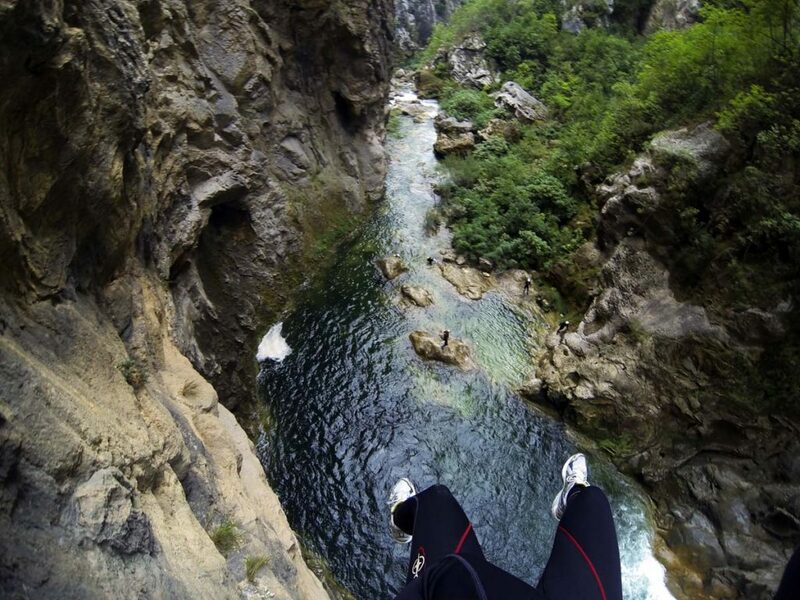 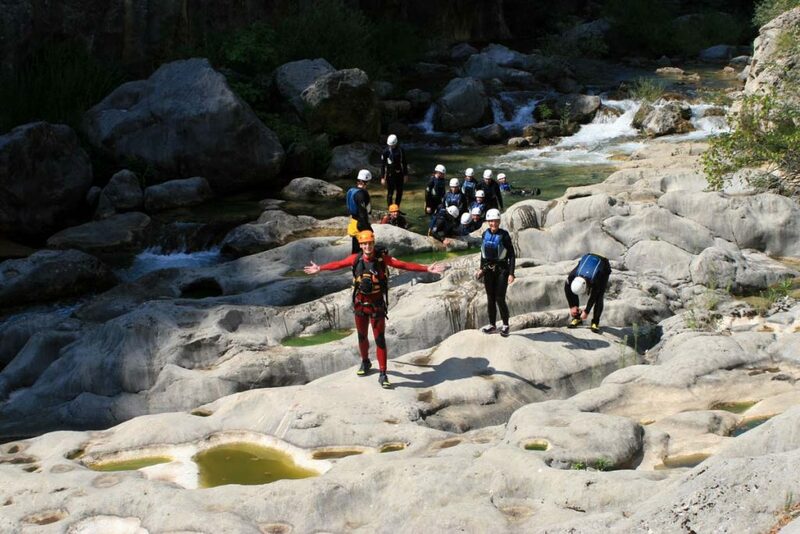 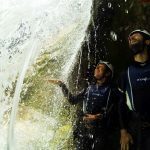 On a canyoning tour from Split we take you on a day in wild nature. 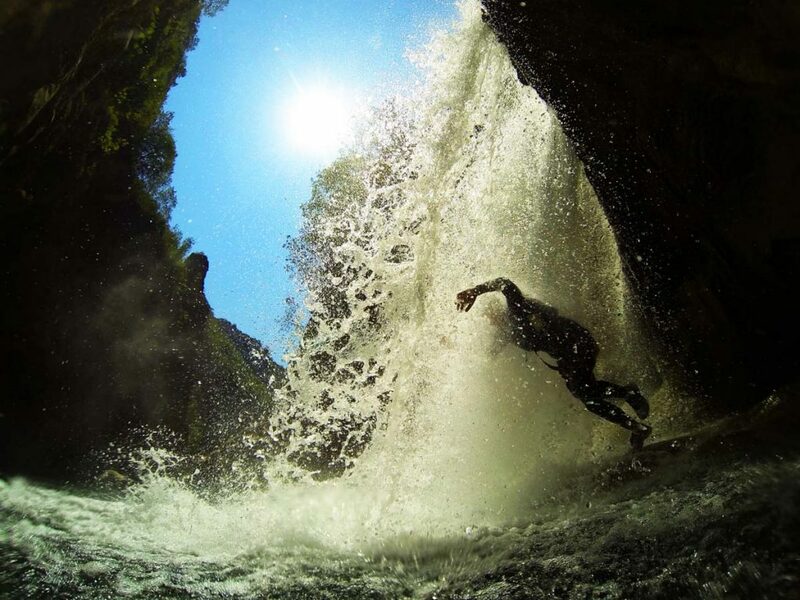 Clear water, green surroundings, fresh air, running, swimming, climbing …all wraped into one exciting tour you’ll be sure to remember for a long time to come! 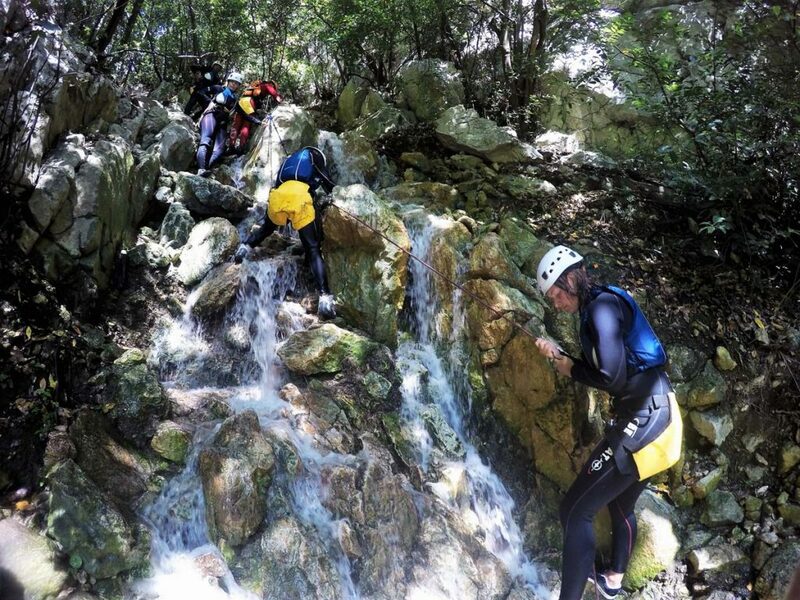 Basic canyoning was a great experience for us. 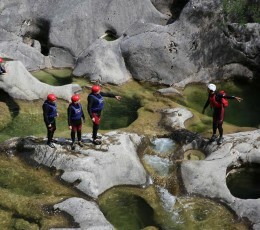 The customer service was great and excellent guides. 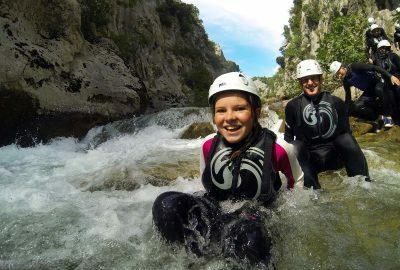 Since our daughter is 12 she was nervous on what to expect but she loved it. 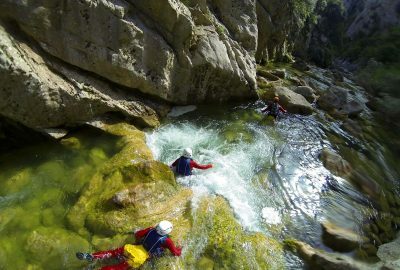 Canyon itself is beautiful and this was such a fun way to explore it. 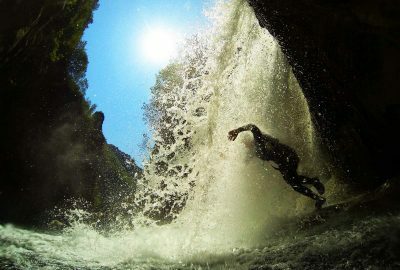 Well this was a fantastic adventure with our guide Joseph. 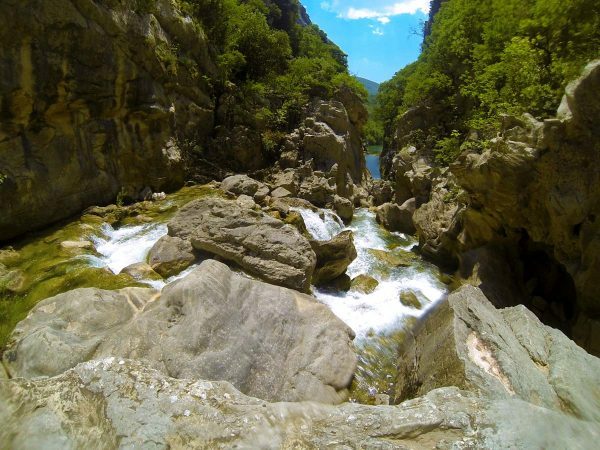 Half an hour driving with mini bus through the canyon was spectacular too. 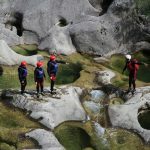 We received a wet suit, life vest and helmet in good condition and spent aprox three hours going down through rapids, by waterfalls and floating between canyon sides through deep pools. 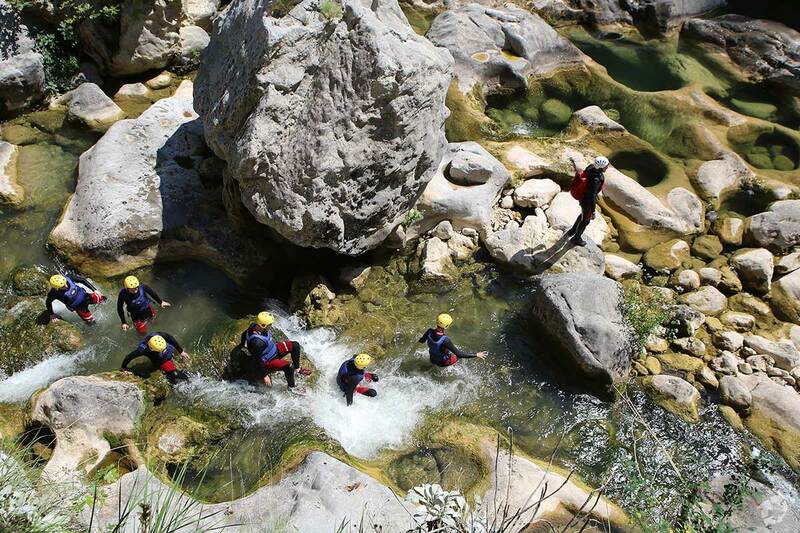 The scenery is amazing! 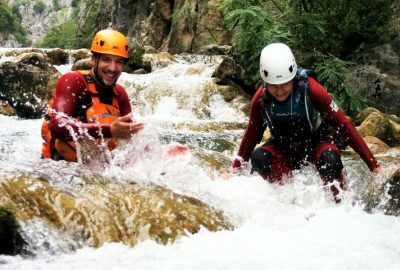 For 20 euros we were provided with more than 150 pictures which is a great value. 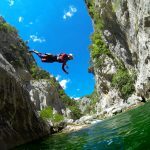 We totally recommend this company! 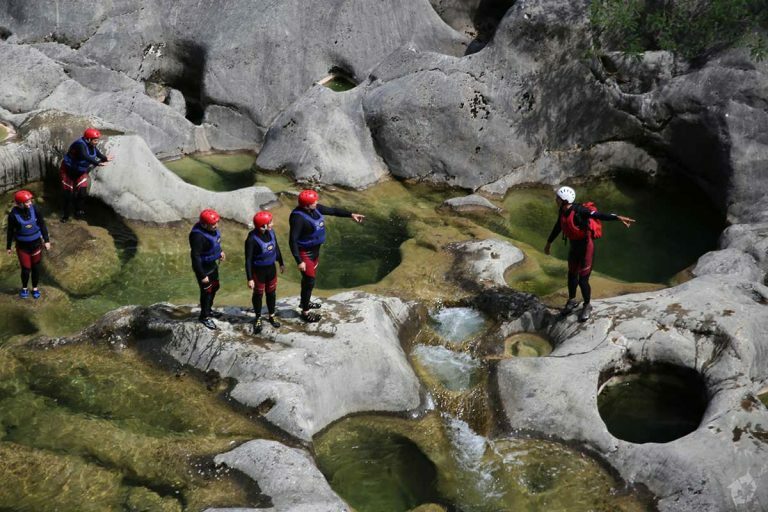 The canyon was absolutely breathtaking and we have had the most incredible experience with so many options for seeing beautiful landscapes and doing a rock jumping. 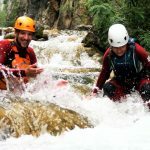 If you are looking for challenging activities but worrying about being in safe hands- I recommend canyoning and this company. 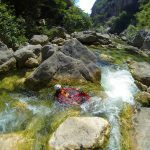 This combination of walking, floating, jumping and swimming by waterfalls was more than fantastic way to see this gorgeous canyon. 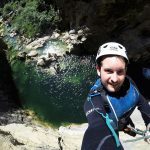 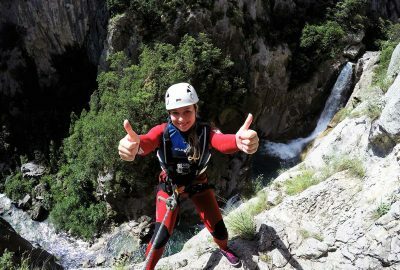 We did the advanced canyoning and rappelling down the high cliffs was terrifying but I had a complete trust in our professional guide and it was more than amazing! 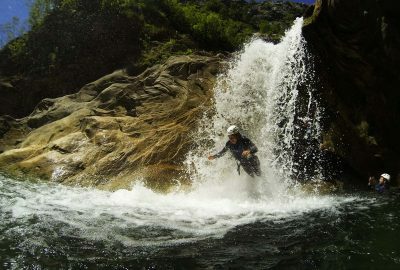 You have to do it people! 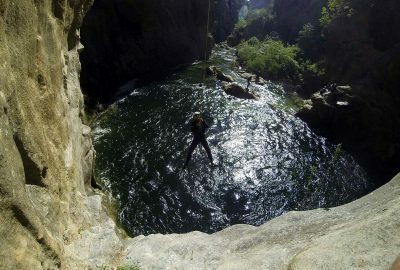 Talk about adrenaline rush! A day in nature, clear water, green surroundings, fresh air, running, swimming, climbing …all wrapped into one exciting tour! 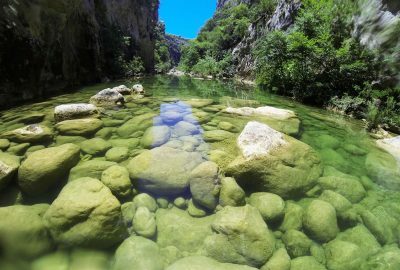 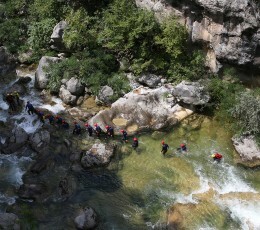 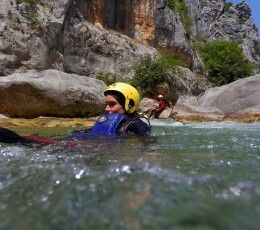 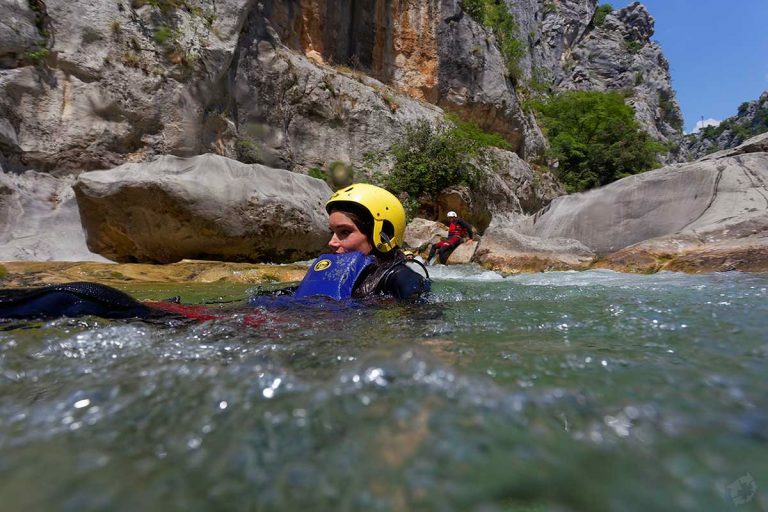 Basic canyoning program includes walking and swimming through the Cetina river rapids, swimming in crystal clear natural pools, cliff-jumping in the lakes by the waterfalls of river Cetina. 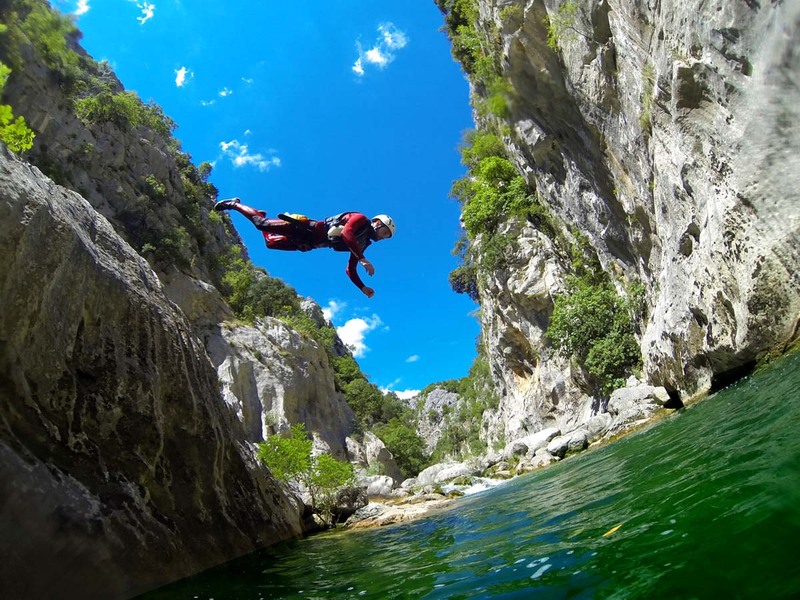 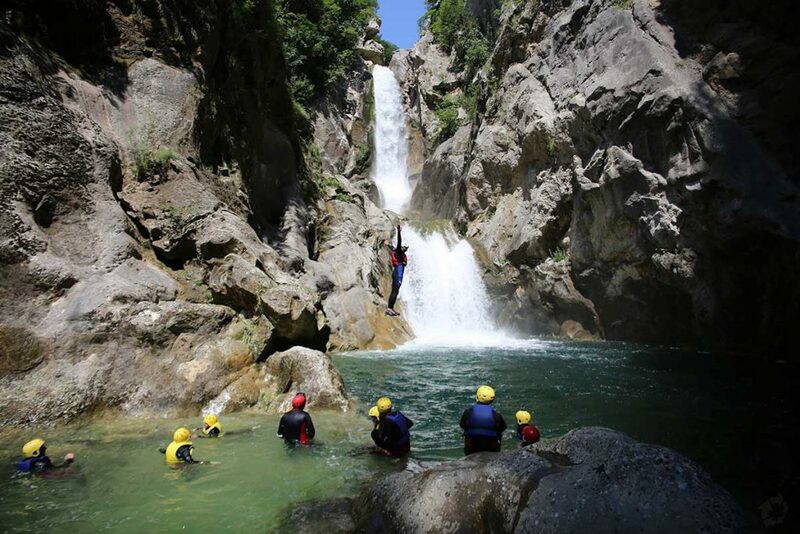 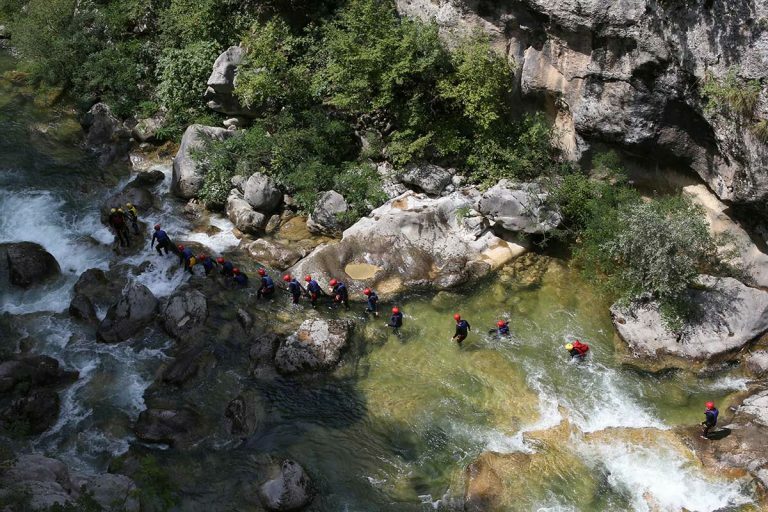 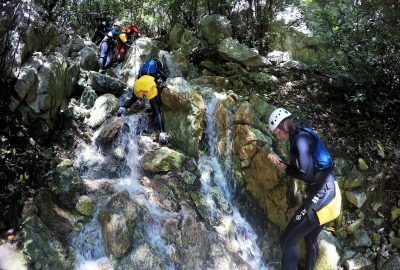 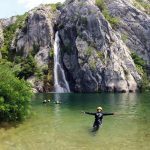 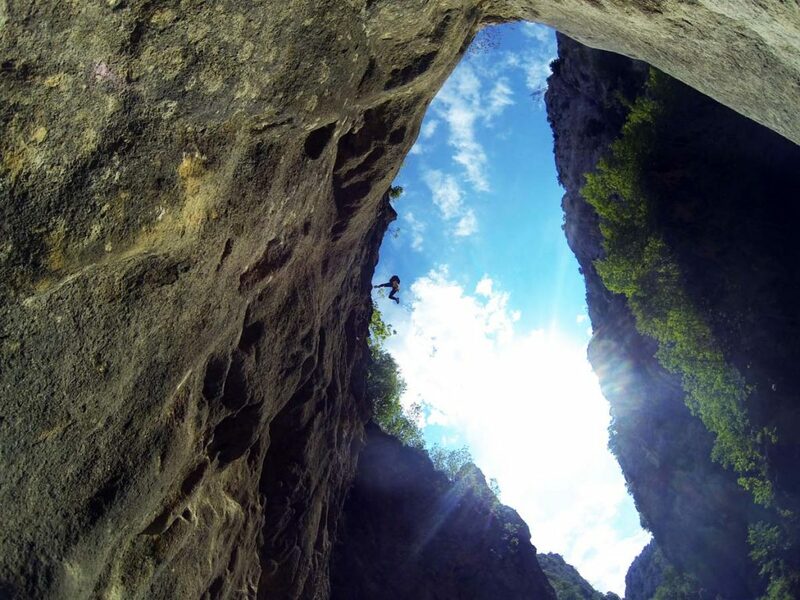 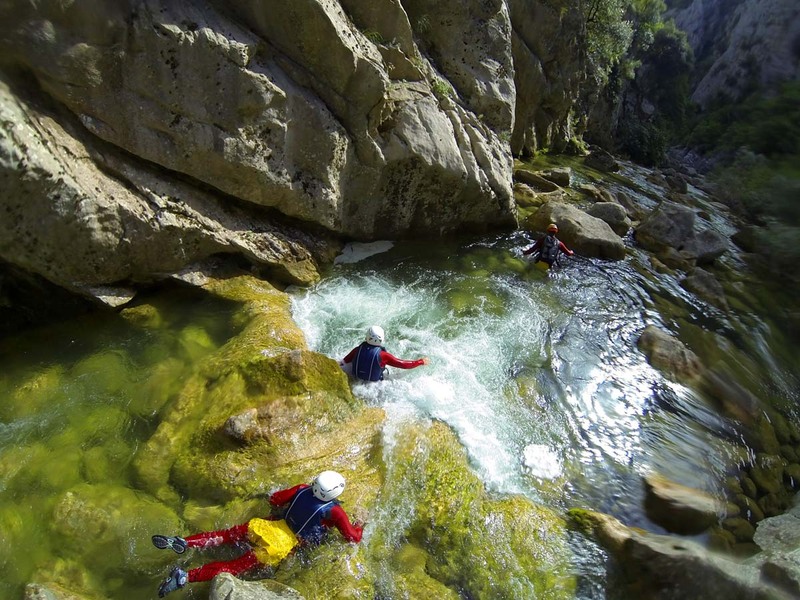 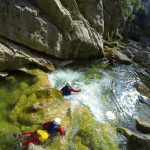 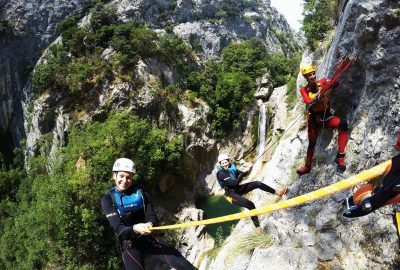 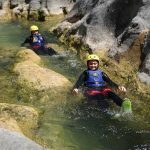 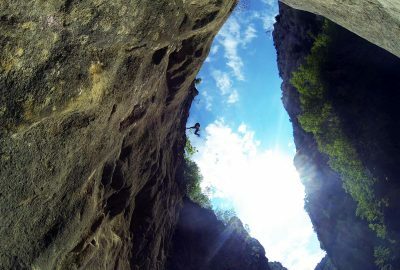 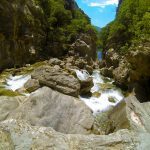 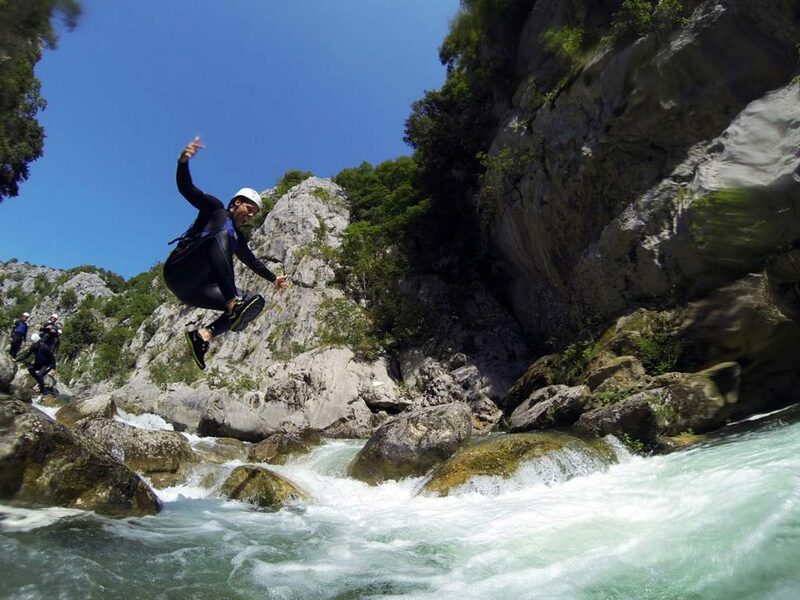 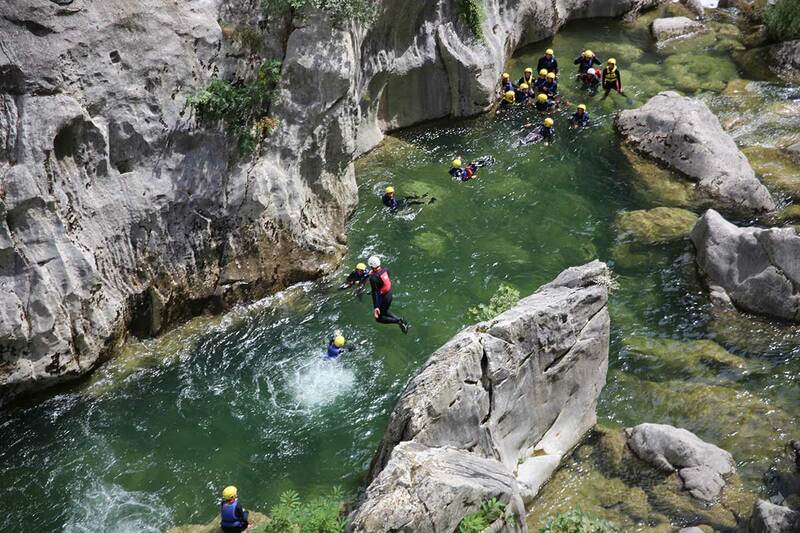 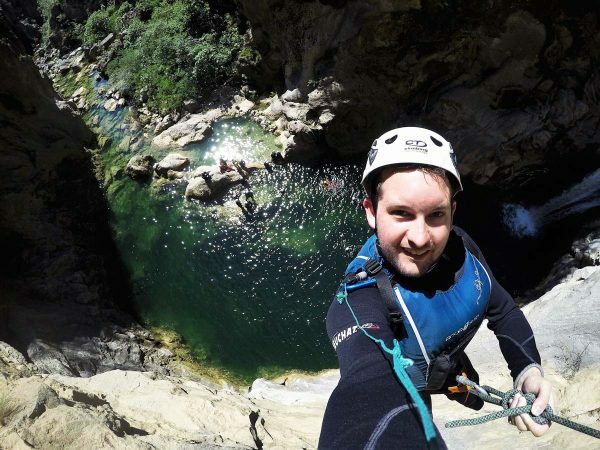 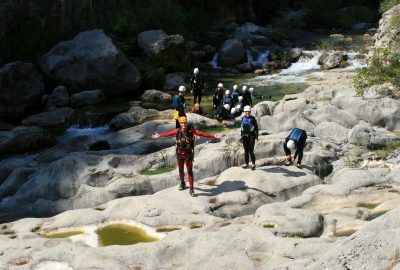 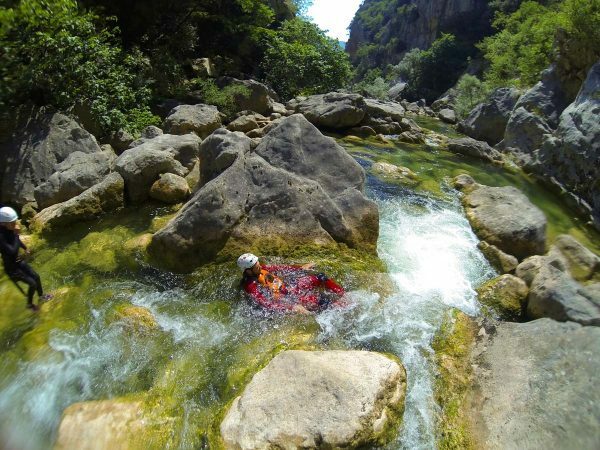 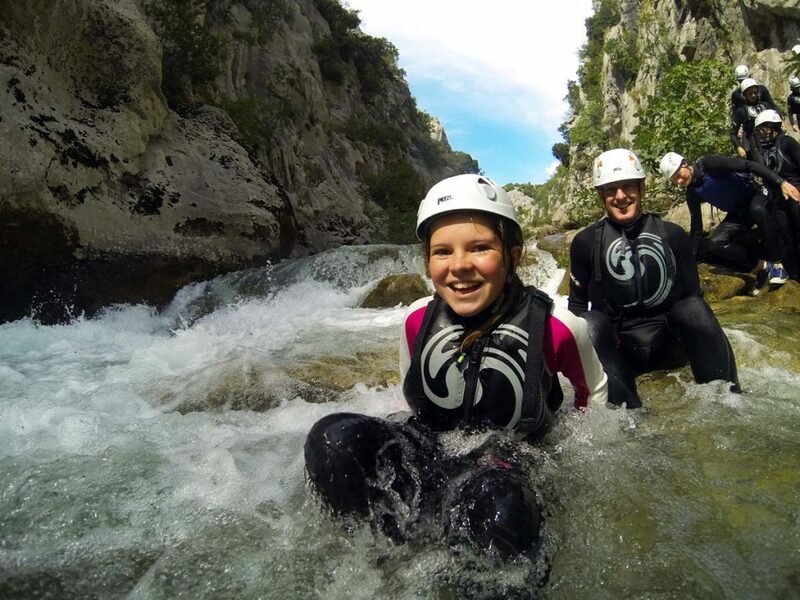 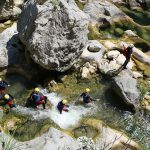 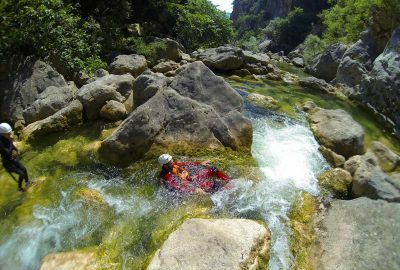 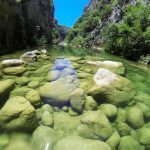 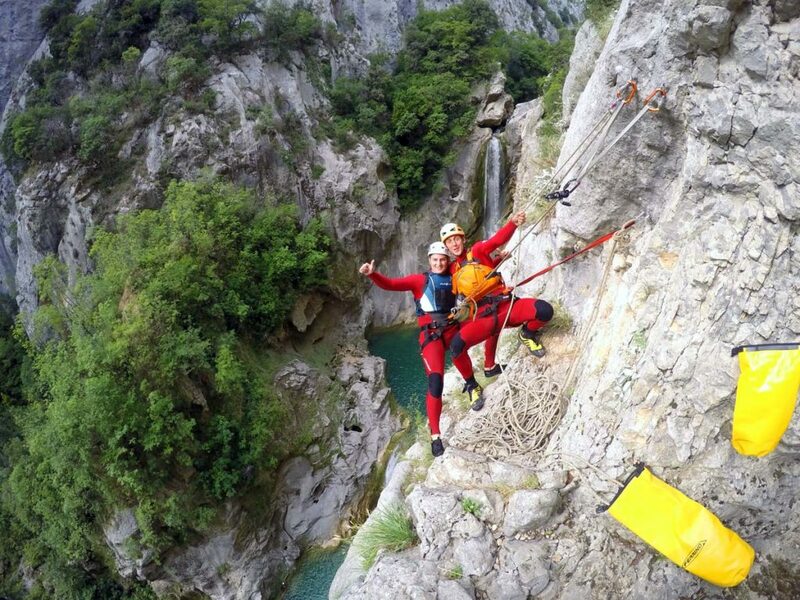 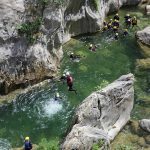 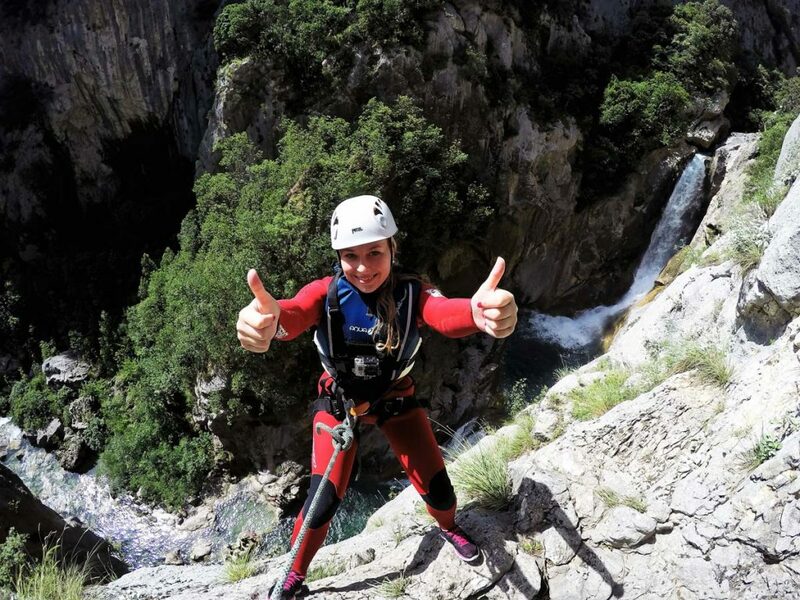 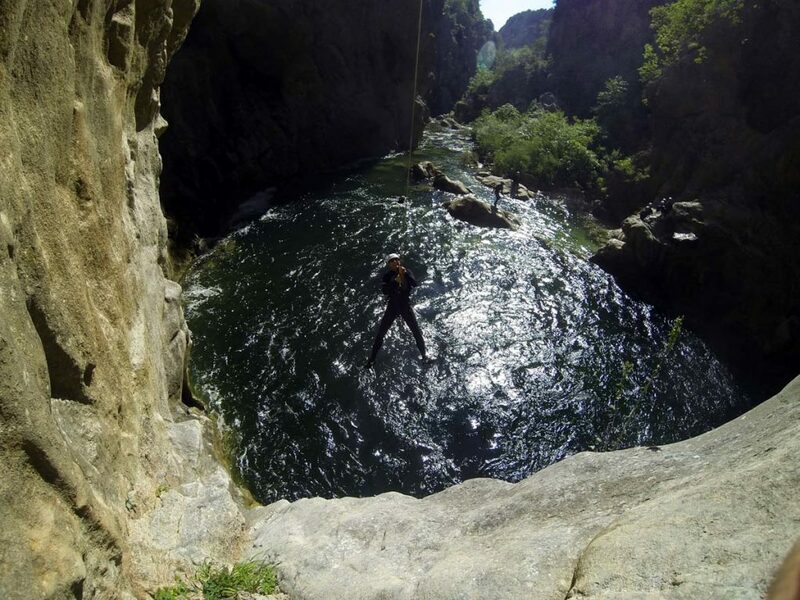 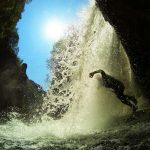 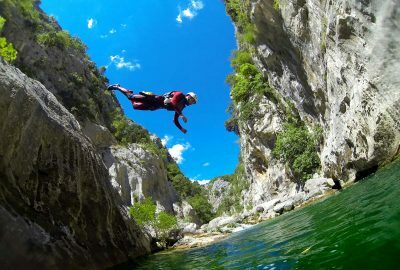 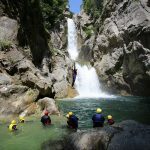 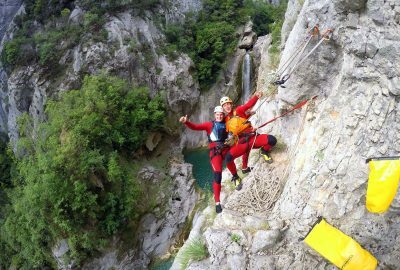 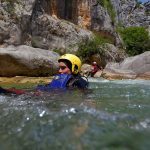 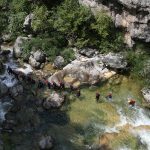 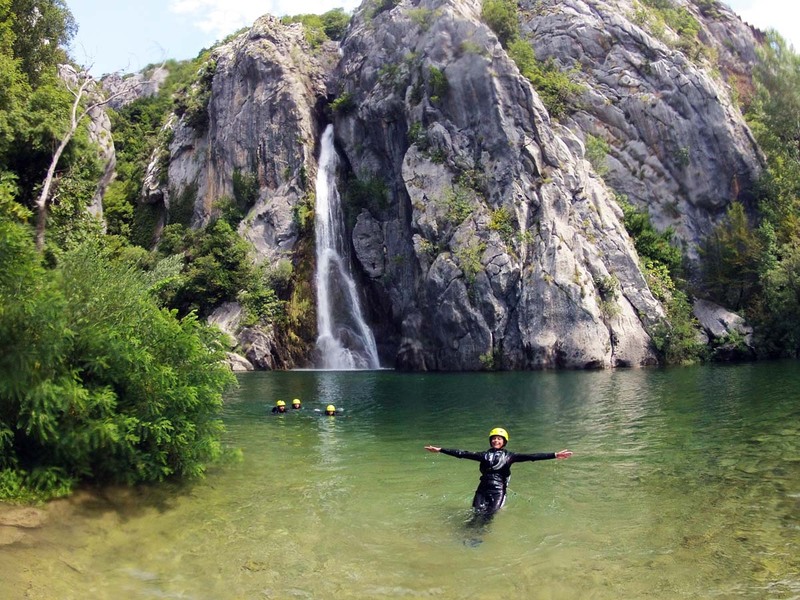 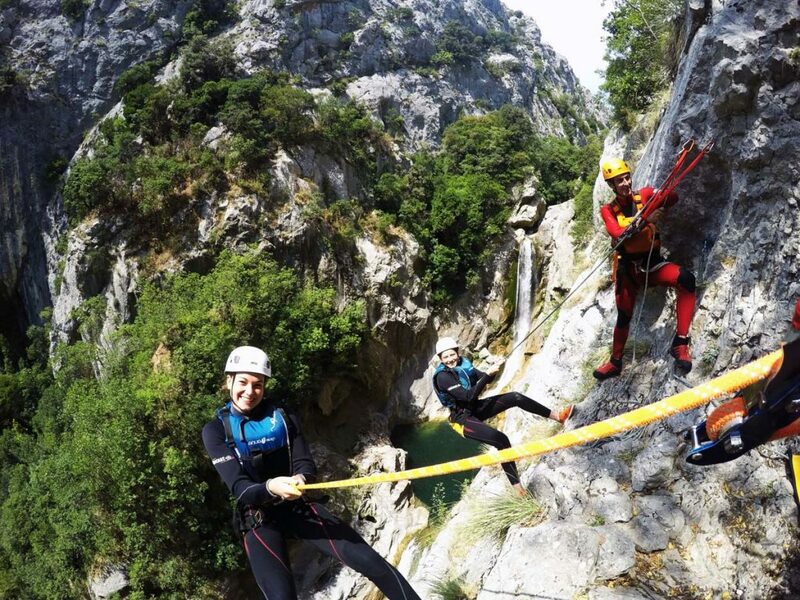 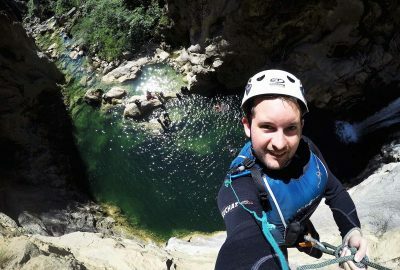 Advanced canyoning program includes walking and swimming through the Cetina river rapids, swimming in crystal clear natural pools, cliff-jumping in the lakes by the waterfalls of river Cetina and abseiling 60m alongside the great Gubavica waterfall. 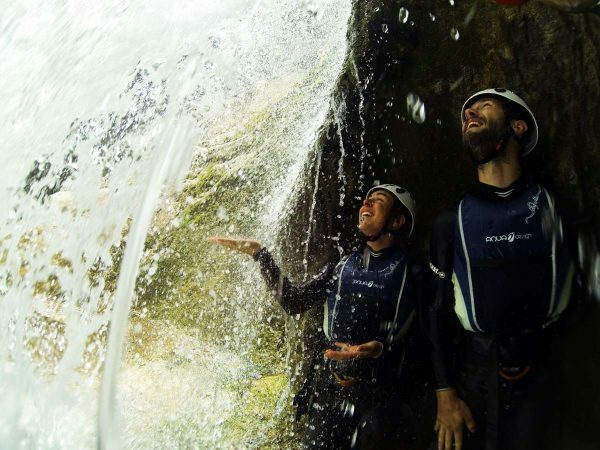 If you like living every moment to the fullest, always seeking adrenaline, we have the perfect day-trip planned for you. 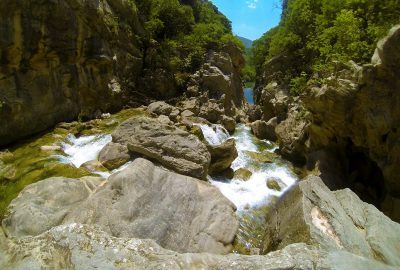 After a short drive to Zadvarje you will feel like you are transferred into another world; green surroundings and silence reveals adventure luring around the corner. 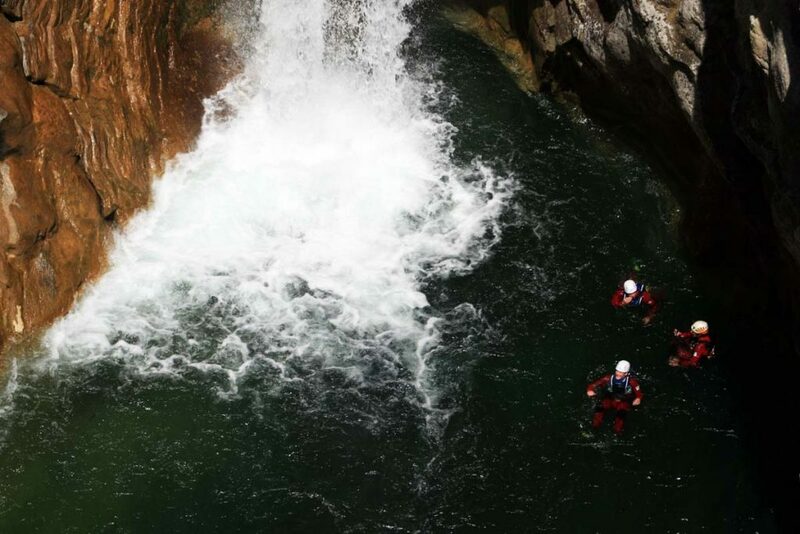 So gear up, listen to your guide and start exploring. 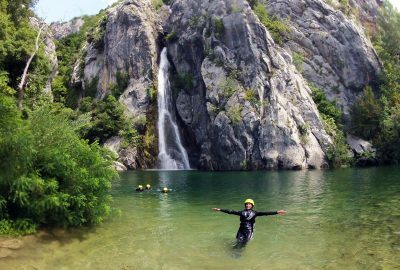 You will be walking, jumping and swimming for over 2 km and the refreshing water temperature will keep you focused and relaxed. 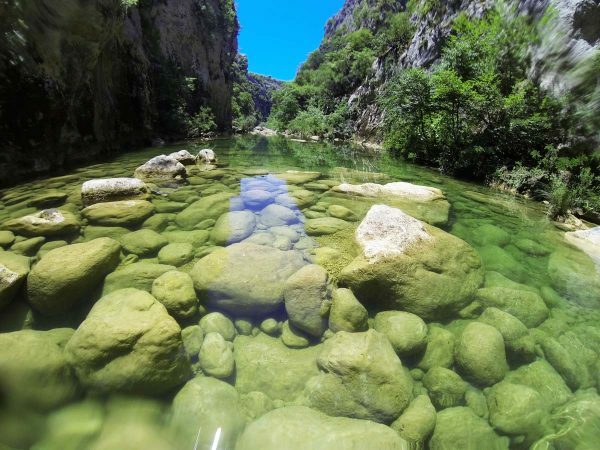 The thing about the Cetina canyon is that if you haven’t hiked, it is like you haven’t seen it.